This course is aimed at people who are interested in flying trapeze and looking at taking their first step toward working as a trapeze coach. Participants will be introduced to the different aspects of flying trapeze coaching, including board, ground, basic safety lines, and catching. All training is conducted at our indoor facility in Byron Bay but will be tailored to suit both indoor and outdoor flying trapeze coaching. 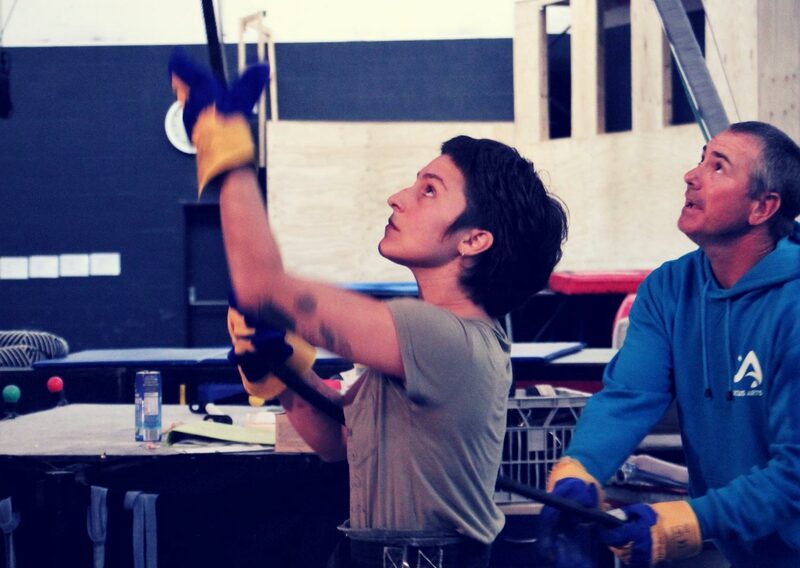 The goal of Stage 2 training is to have participants be signed off as a flying trapeze coach. Participants will be given information on steps to take for employment. Limited places will be made available for selected participants for ongoing trainee/coaching positions in Brisbane, Byron Bay and Sydney.